From Mar. 31 to Apr. 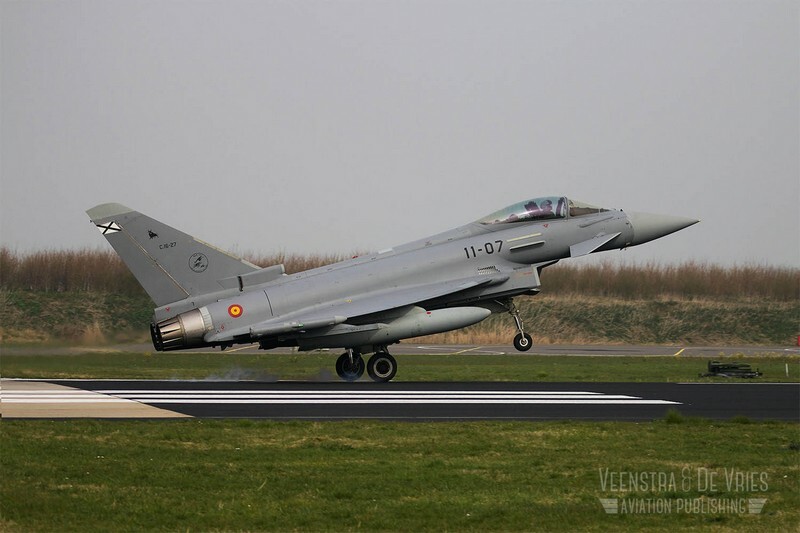 11, 60 aircraft from eight different European countries will take part to NATO Exercise Frisian Flag 2014 whose purpose is to train for complex, multinational operations, like those over Libya and Afghanistan. 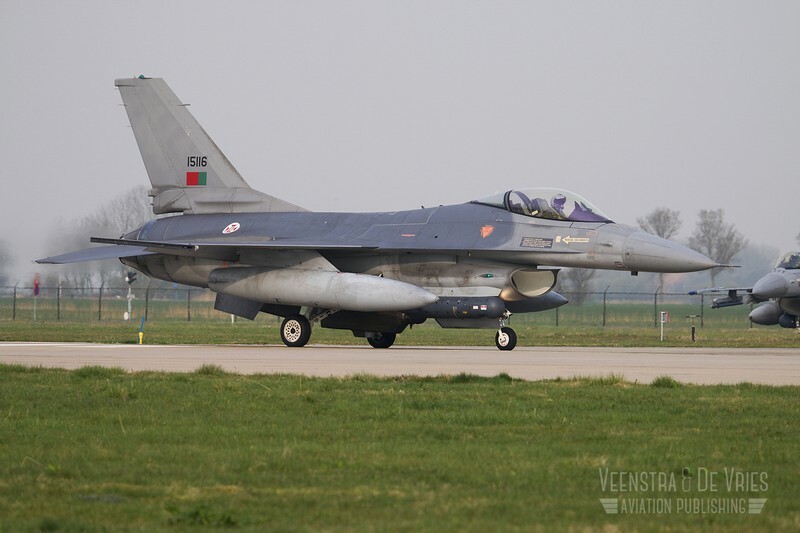 Ruben Veenstra and Lieuwe de Vries went to Leewarden airbase, in the Netherlands, to report from Frisian Flag for The Aviationist. 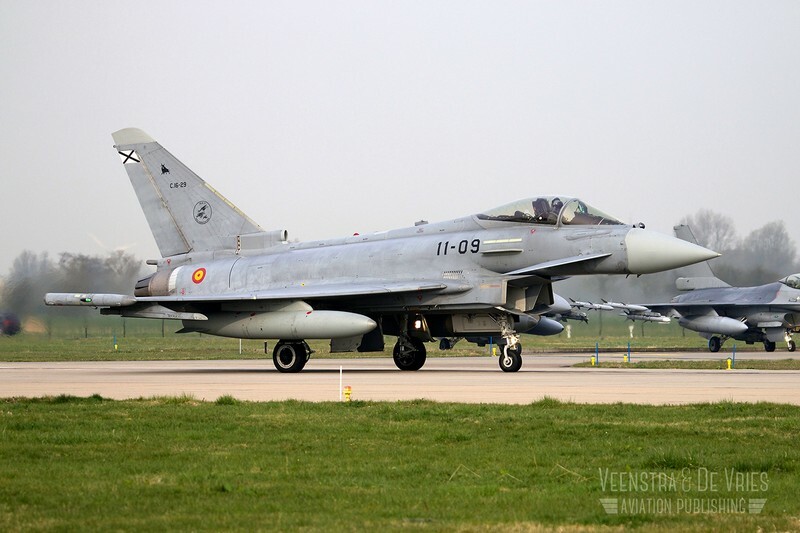 It’s 9 o’clock in the morning and the first fighters are lined up on Runway 27 of Leeuwarden AB, the Netherlands. 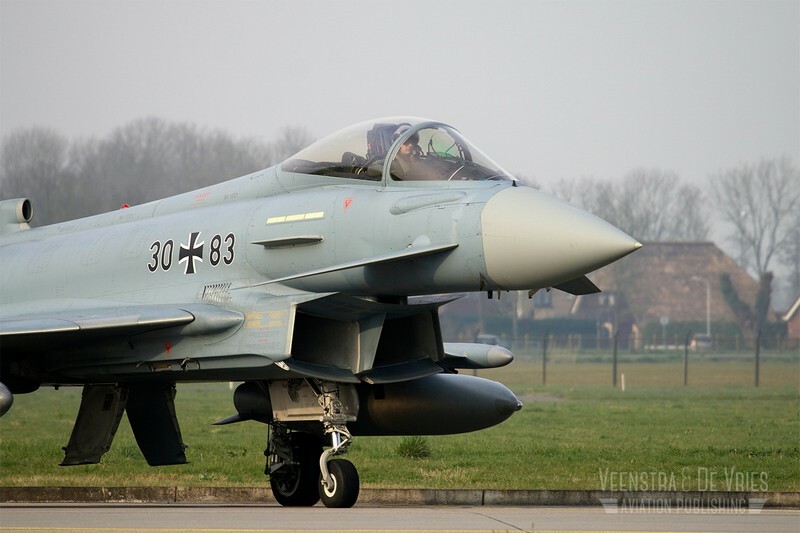 It’s the second day of the NATO exercise Frisian Flag 2014. The exercise, held since 1992 (in 1999 it took its current name), is meant for European nations to train for multinational operations like those over Libya and Afghanistan. It is also an opportunity for pilots to engage in dissimilar aircraft training (DACT) missions. Host nation aside, Belgians, Danish, Norwegians and Portuguese with their F-16s, Spain and Germany with their Eurofighters, and the Finnish with their F-18 Hornets are taking part to the Frisian Flag. Support will be provided by a French Air Force AWACS E-3F, a British civilian operated DA-20 for EW (Electronic Warfare) and a DA-42 M-NG in a S-UAV role. Yep, you read that right: that’s a heavily modified Diamond DA-42 (a type of surveillance plane flown by Ukraine as well) with basically all the electronics and equipment of a RQ-1 Predator due to an absence of European operated Predators. It’s a manned aircraft but for all intents and purposes during Frisian Flag, it’s a recon drone with a real live feed to Leeuwarden AB. 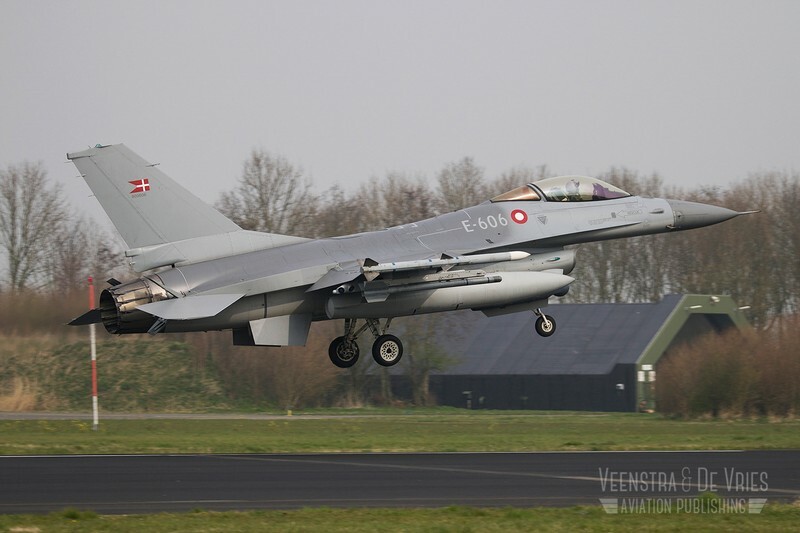 In conjunction with Frisian Flag, the European Defense Agency is holding its first-ever multinational air-to-air refueling (AAR) exercises called, unglamorously, European Air-to-Air Refueling Training 2014 (EART14). A Dutch KDC-10, a German A310 and an Italian KC-767A will fly dedicated AAR (Air-to-Air Refueling) training missions from Eindhoven AB. Next to assisting Frisian Flag in AAR, they will train in Link 16 procedures, bailout procedures and multiple AAR formations. EART14 will also further certification for the Italian KC-767. EART14 was born out of the realization of European member states that they are suffering from a lack of equipment and interoperability. In comparison: the EU member states have 40 tankers of ten different types, whereas the U.S. have over 550 tankers of just three types. In recent years, the EDA has defined three objectives: increasing the overall AAR capacity, reducing fragmentation of the fleet and optimizing the use of assets. Although NATO-members have a long tradition of training with each other, Frisian Flag is one of the few initiatives in Europe that simulates large-scale wartime missions and conditions. Complex missions are being flown above three countries (The Netherlands, Germany and Denmark) and will simulate real world operations like those in former Yugoslavia, Afghanistan and Libya. Missions range from defensive (like protection of ground objects and slow movers) to offensive missions (air interdiction and SEAD -Suppression of Enemy Air Defenses). To make things even more interesting, the Germans have placed SA-6s and SA-8s in the fighting area. The aircrews have no idea where they are placed, maximizing the training value. In turn, the Dutch have placed several Smokey Sams and inflatable targets. 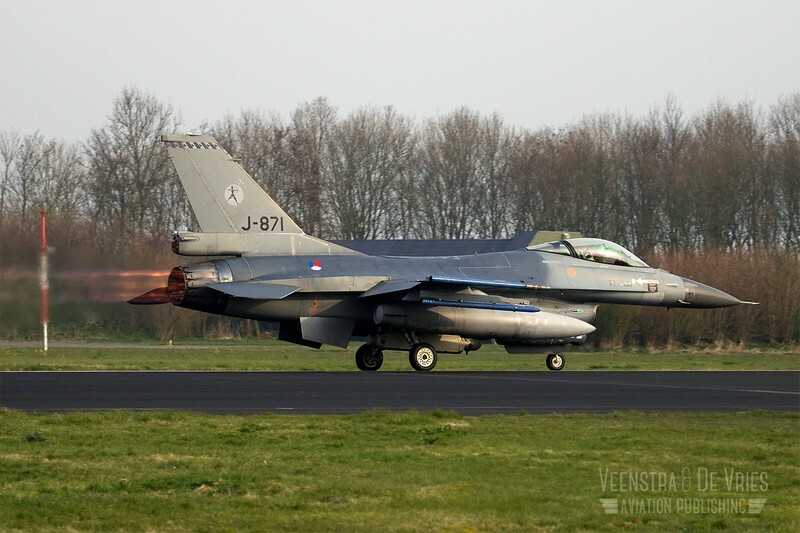 For Close Air Support missions the fighters will rely on JTAC (Joint Terminal Attack Controller) units from the Dutch Special Forces who have operated previously in Afghanistan. An active Link 16 network is set up for communications throughout the two-week exercise. Crews are divided in 12-hour morning and afternoon shifts with planning alone taking 6 hours a day. Each shift has a wave of 44 aircraft. This pace is being help up every day, for twelve consecutive days with the missions getting more and more complex along the way. We Visited NAS Fallon, The “Supercarrier In The Desert” and Home to the Naval Fighter Weapons School (TOPGUN).